The Old Santa Fe Depot in Temple, Texas was built in 1911. For years it severed as the train station for this busy part of the rail line. Even today it is still an Amtrak Station. Part of the depot has been converted into a museum to preserve important artifacts and documents from the area's railroad history. 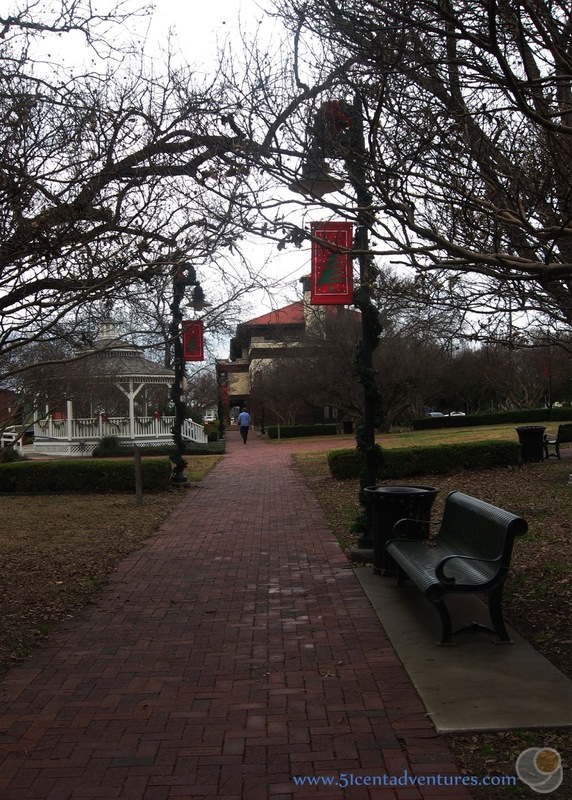 The grounds around the museum have a beautiful plaza with well maintained walkways and gardens. There are historic train cars and an engine on display in front of the building. The rail lines next to the building are very busy and you can see many trains pass by. A smaller building near the depot has model trains on display. The Whistle Stop Park is also near the depot. 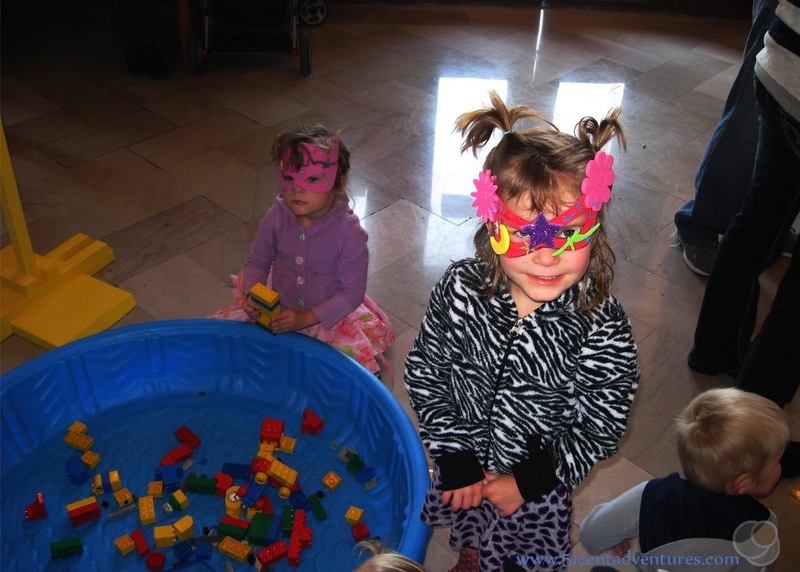 Several free activities are held at the depot throughout the year. This is a great place for families to come spend the day. Cost: Access to the actual displays inside the museum costs $4 for adults and $2 for children from 5 to 12. However, there is no cost to enter the main part of the building, walk around on the plaza, or to play at the Whistle Stop Playground. Operating Seasons and Hours: Tuesday through Saturday from 10:00 to 4:00. 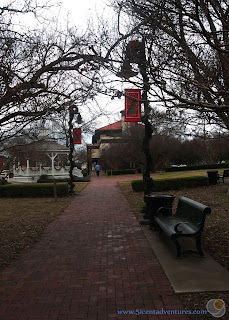 Most of the places on my Texas Hill Country Day Trip ideas list were places that my family was only able to visit once. They were either too far, too expensive, or too intensive to make a second trip feasible. But there were some places that we returned to over and over again. 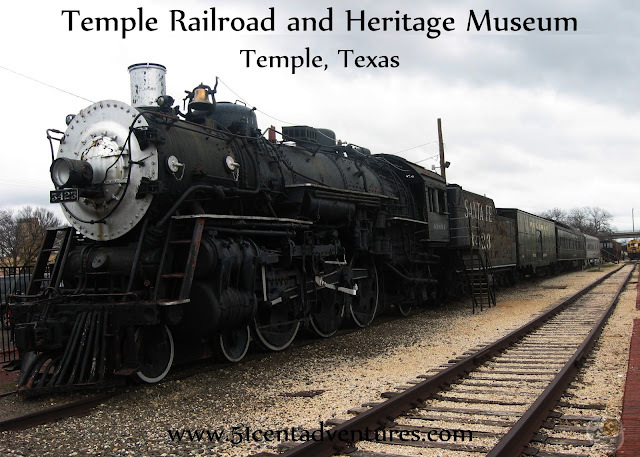 The Temple Railroad and Heritage Museum was one of those places. 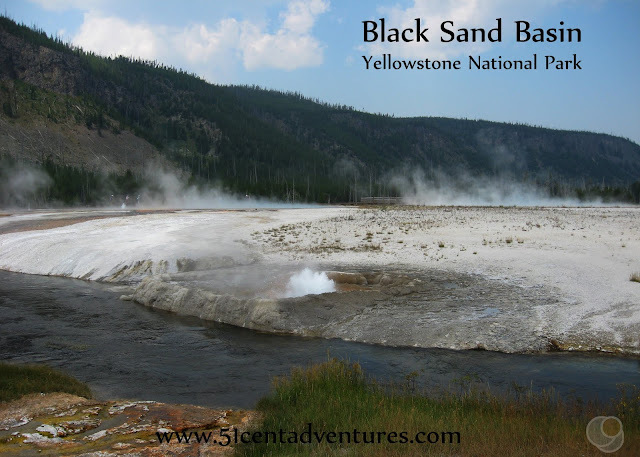 We first visited it in July of 2013 on our way to an overnight camping trip at Mother Neff State Park. We enjoyed it so much that we came back about every two months after that. I should clarify that though. 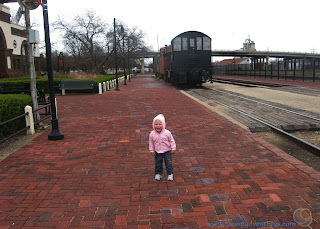 That first visit was the only time we paid for the actual museum part of the Old Santa Fe Depot. Every other time we enjoyed the many free things that surround the museum. I'm going to show you many of the things we enjoyed. There are two things to keep in mind while I tell you about these places. 1. I took these pictures over a period of about 2 years. 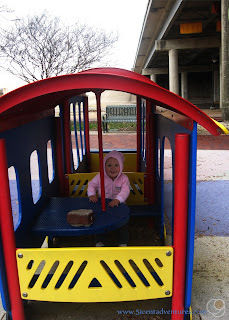 Most of the pictures in this post were from our last visit in February of 2015. 2. The area in front of the depot building is currently under construction. They are constructing a new Santa Fe Plaza. I'm not sure what they are changing. So some of the things in these pictures may no longer be there when you visit. That's okay though because I'm sure whatever they are replaced with will be even better. First up we have the Old Santa Fe Depot. This building was constructed in 1911. 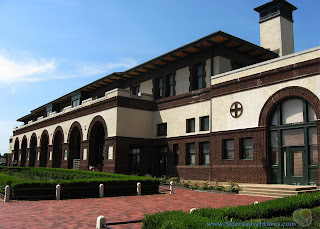 It houses the museum, but it's still in use today as an Amtrak station. I never took pictures of the displays inside the museum. Basically its the same stuff you can see at any railroad museum across the country. There are antique train signals, lanterns, tools, and the like. There are many displays that talk about railroad history. I was especially interested in one that talked about the hobo alphabet that was developed during the Great Depression. My children enjoyed a little room with train toys. The museum is worth the price of admission. Outside the museum they have a large steam train on display. You can climb up inside the engine of the train and see all the switches and gauges. There are also some Pullman cars on display. You can tour these with the price of your museum admission. 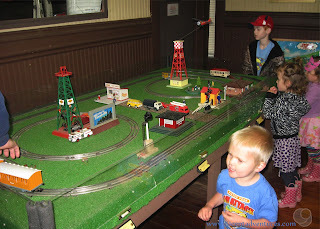 The depot hosts many family activities throughout the year. If I remember right we went to a science day in February one year, and National Train Day in May of another year. 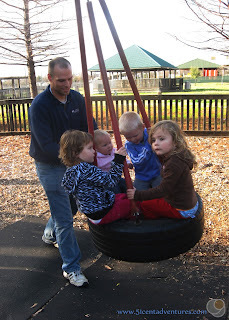 These free events were very fun for our family. 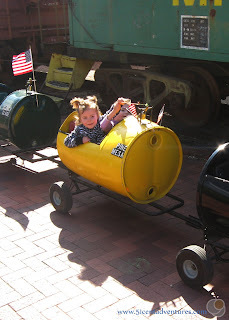 Here are my twin enjoying a ride in a barrel train. This barrel train makes appearances at many activities in Temple and Belton and we were always excited to see it. There were lots of activities to do on the science day. 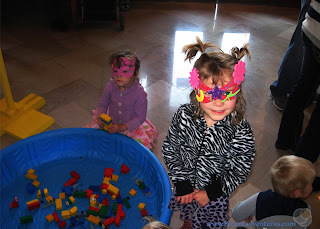 My girls enjoyed making masks. Central Texas Area Model Railroaders (CentraMod) meets in a building located near the depot. The building is open to the public at various times throughout the month. They have several large train layouts on display. This one is on display in the lobby of their building. There is a very nice plaza outside the depot building. My kids loved gazebos so they always got excited when they saw this one. Here's my daughter standing on part of the plaza. 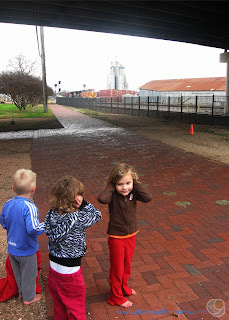 When we first started coming here none of the kids were that interested in trains. But she and her older brother are obsessed with them now. Coincidence? - I think not. One of the best parts about this museum is that it is located next to a busy railroad line. 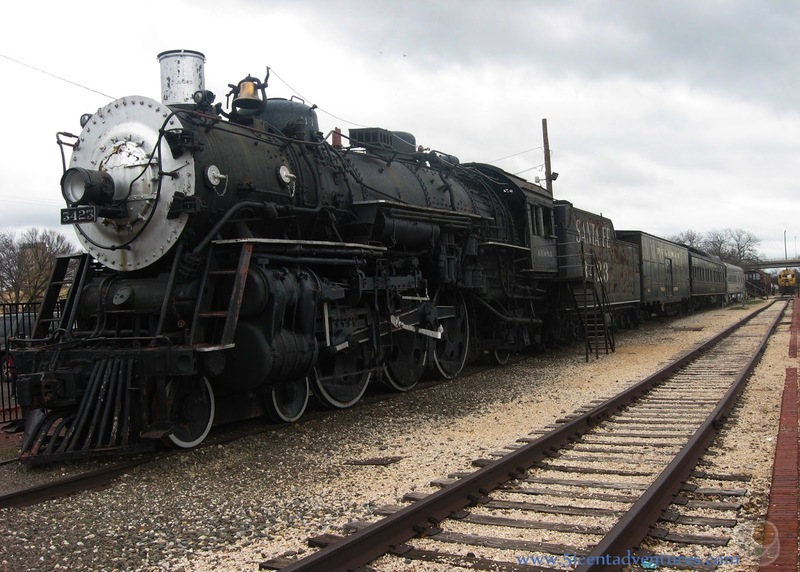 Many train museums celebrate the glory days when trains still ran regularly in their town. They are next to railroad tracks with grass growing between the ties. Not so here. The depot is next to at least 3 tracks that have trains travelling on them quite often. The trains all blow their whistles loudly as they pass through this area. 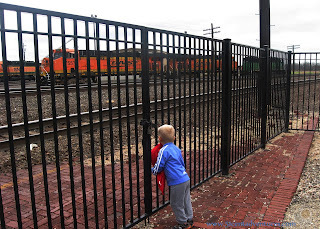 My son loved watching trains go by. Feeding his love for trains is one reason we came here so often. A viaduct was built so cars could easily pass over the tracks. One side of the viaduct has this cute little play area. The kids always spent a lot of time playing in here. 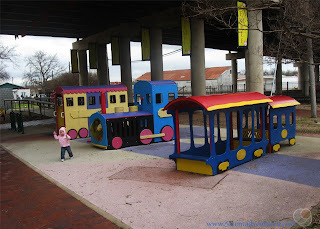 But their favorite place to play was the Whistle Stop Park located just a few hundred feet west of the depot building. 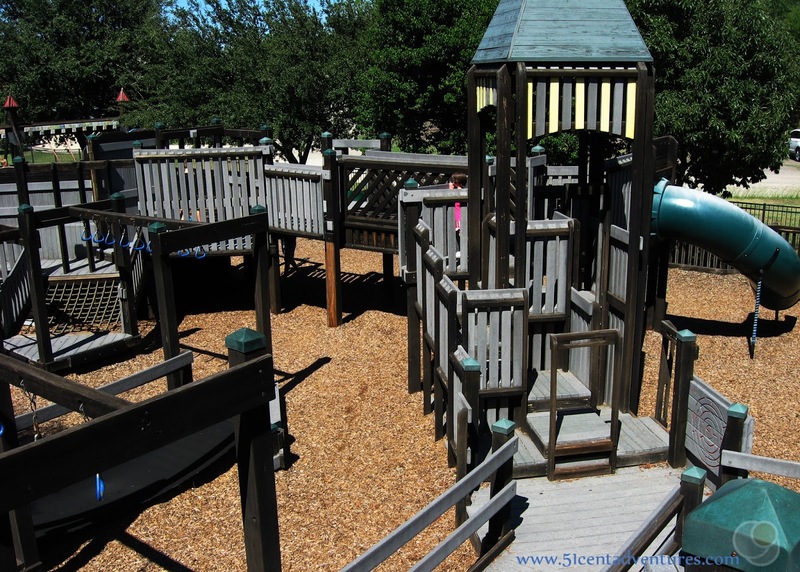 The first time we came here was in August when it was much to hot to play on the playground. 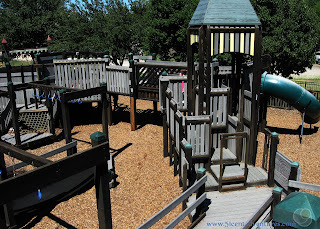 But we came back in September and discovered how much fun this playground is. This is one of my favorite pictures of my kids. We have so many great memories at this train museum. I'm glad we came here often. Recommendation: If you or any of your family enjoys trains then you will want to see the many things around the Old Santa Fe Depot in Temple, Texas. The museum is worth the price of admission, but you can have an enjoyable day here even if you don't visit the museum. 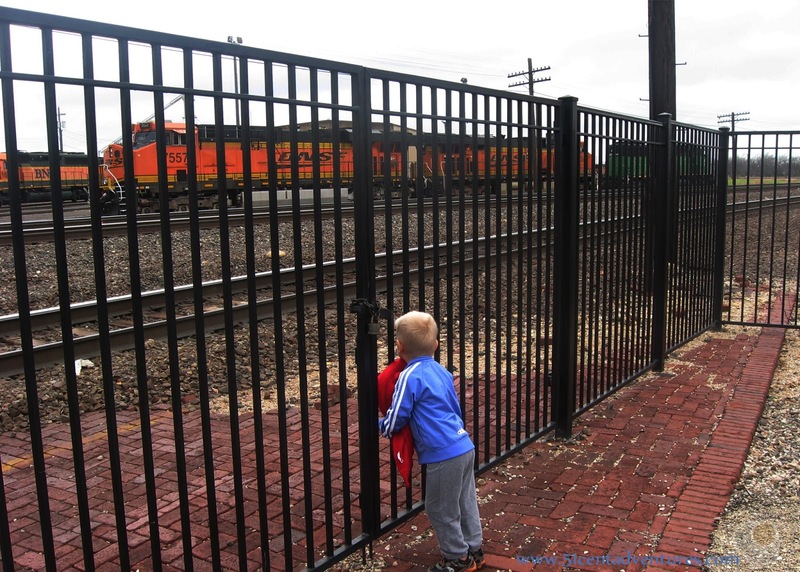 Directions: The Railroad and Heritage Museum is located near the downtown area of Temple. The best way to access the museum is to take Exit 301 off of Interstate 35 and head east on Central Avenue. Turn right onto 9th Street which will curve and become Avenue B. The large parking lot and the depot building will be on your right. The Whistle Stop Park is on the western side of the parking lot. Places Nearby: If you are interested in the history of the area you should plan to visit the Bell County Museum in nearby Belton. It is housed in a former Carnegie Library building and is a great way to learn more about Central Texas. Next Stop: The first time we came here we were on our way to a camping trip at Mother Neff State Park.